One of the first examples of module structure of the "stiffshell" type without diagonal braces and with the external corrugated plates as structural members. 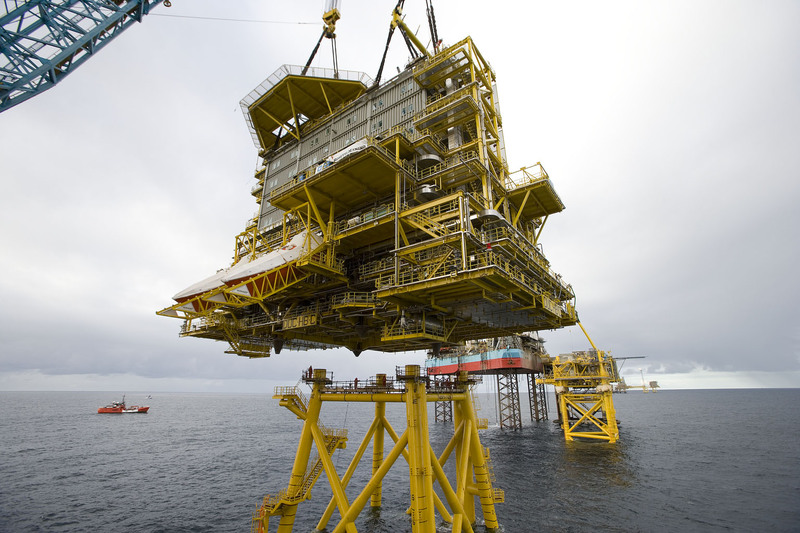 Halfdan BC accommodation platform is installed in the Halfdan Field (Denmark North Sea), 43.60 m water depth. HBC is bridge connected to the HBA and HBB platforms. The module is a 9 levels structure with an helideck on top; the main dimension of the Module are 43.0 mx22.0 mx34.0 m.
Design was performed in accordance with the requirements of the Danish LRFD Code.